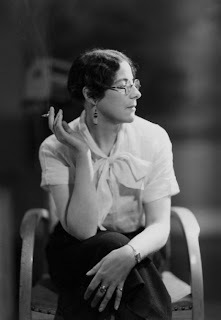 SUMMER WILL SHOW is the third novel by Sylvia Townsend Warner (1893-1978) to appear as an NYRB Classic, having been preceded by Lolly Willowes and Mr. Fortune’s Maggot. Townsend Warner is one of the most inventive, intelligent, and plain astonishing British writers of the twentieth century, fully the equal of such contemporaries of hers as Elizabeth Bowen and Henry Green, not to mention the slightly older Virginia Woolf. She is an unmistakably modern writer who, however, worked outside the conventions of literary modernism. That should make her particularly attractive to readers and writers of today, and adventurous younger novelists like Ali Smith and Sarah Waters have in fact praised her very highly in recent years. Summer Will Show is a historical novel set in 1848, that famous disastrous year of revolutionary uprisings throughout Europe. It is the story of Sophia Willoughby, a headstrong and stubborn young aristocrat of—at least to begin with—ironclad Tory conviction. Having made an early marriage to a classic cad, Sophia has hastily borne two children before packing her cheating husband off to Paris and into the arms of his mistress. Now in rural English retreat, she has decided to devote herself to bringing up her children precisely as she was brought up—the only proper way, after all. But then the children die. What to do? Grief-stricken, Sophia eventually makes her way to Paris, driven by the thought that her husband, whatever his failings, can at least supply her with more children. Paris, however, is in the throes of revolution. Sophia unexpectedly encounters Minna, the despised mistress, and the two women fall in love. I’m not going to give away more of the plot of this exciting and surprising book, in which nothing is ever quite as it seems. It is an increasingly bloody carnival, a tale of modern metamorphosis to set beside Ovid’s ancient ones, and a book about the ways love remakes and unmakes people, one in which the politics of the heart exist in competition and confusion with politics as usual. It is a disconcerting, even radical book, and its central subject, as in much of Townsend Warner’s work, is the inherent strangeness of the self, resistant to control, insusceptible to coercion, demanding one way or another to be discovered and demanding more after that. How to come to terms with this insistent stranger within? Those words are Elizabeth Bishop’s, and it strikes me now that Townsend Warner’s work may remain underestimated for much the same reason that Bishop’s was throughout much of her life. Warner doesn’t wear her heart on her sleeve. She doesn’t make a point of writing about big important subjects in a big important way. (To write a historical novel like Summer Will Show in the 1930s was, among other things, very much not to write something like The Waves or For Whom the Bell Tolls.) Though utterly individual, she never cultivated a trademark style or subject—each of her novels is different from the last—and though she writes beautifully she is careful never to draw attention to her art. Her books, however, leave indelible marks. Lolly Willowes, published in 1926, was Townsend Warner’s first book and an improbable best-seller. It is the story of a spinster who cuts herself loose from the constraints of respectable family life by becoming a witch and entering into a pact with the Devil. It appears to be a straightforward, though in its day still provocative, feminist parable (call it A Broom of One’s Own), and yet the book takes a mysterious and troubling turn at the end, as the heroine renounces her witchcraft and takes to the road, sleeping out in the open and moving ever farther away from society—as if true freedom could only be had at the cost of a separation from humanity and even life. Mr. Fortune’s Maggot may be the most perfect (even if perfection doesn’t admit of degrees) book in the NYRB Classics series—an immaculate work, the story of a missionary on a tiny island in the South Seas who falls in love with a young man (again a daring subject for its day) and loses his faith. Timothy Fortune isn’t your stereotypic fictional missionary, all dead dogma and dammed-up desire, but a genuinely good man for whom the discovery of love and the discovery of his utter aloneness come with a shock any of us can share. And yet nothing in Townsend Warner’s telling of his tale is melodramatic or sentimental. The “maggot” that sticks out of the book’s title means foible—Warner alluding almost ironically both to Fortune’s falling in love and falling from grace—but it also echoes the names of lute and keyboard fantasies by early English composers like Byrd and Dowland and Gibbons. These dance-inspired pieces, with titles such as “Lord Salisbury’s Pavan” and “Hugh Aston’s Ground,” are both stately and melancholy, brooding and quirky, light and dark—precisely the qualities of the book itself. Sylvia Townsend Warner was a woman of extraordinary achievement—not only a marvelous novelist and writer of stories but a very fine poet and a notable musicologist to boot. Summer Will Show is perhaps her most out-and-out exciting book, but Lolly Willowes and Mr. Fortune’s Maggot are equally good places to start exploring the work of a wonderful writer who seems all the more central because she stands so beautifully apart.